Find hotel near Kuan-zhai Ancient Street ..
Amalgamation of modern construction style and old architecture is represented in the Kuan-zhai Street. 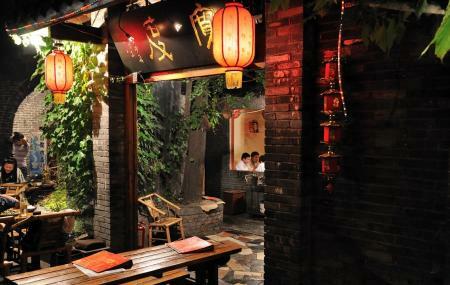 It is part of one of the three key preservation areas in Chengdu which comprise of Kuan Lane, Zhai Lane and Jing Lane. Depicting characteristic features of Qing dynasty, Kuan-zhai lane is opened to public and has great open-sir tea-houses, Chinese style courtyard with gardens and modern cafes. A great hang-out in Chengdu! How popular is Kuan-zhai Ancient Street Of Qing Dynasty? People normally club together Giant Panda Breeding Research Base and Luodai Ancient Town while planning their visit to Kuan-zhai Ancient Street Of Qing Dynasty.